Motivational Speaker & Mentor, Camilita Nuttall will once again be speaking at the Introbiz Expo 2016.
motivator, 7 time award-winning corporate sales trainer, an executive business mentor, entrepreneur and real estate investor. Through various seminars, Camilita empowers and inspires others to fight for their future and WIN! Camilita’s straight talking, bold and highly infectious personality has motivated thousands across the world over the last 12 years. Her think-big, no-nonsense approach, coupled with warmth and humour, will leave you challenged and transformed, ready to achieve extraordinary things. Camilita has empowered audiences at Birmingham City University Business School, BBC WM, Bahamas TV and Radio, South by South West in Austin Texas, Empowering a Billion Women by 2020, appeared in Celebrate Business Magazines in the USA and Europe and Global Woman Magazine January 2016 edition. Camilita is also on the council of reference for Premier Radio in the UK. Camilita left Trinidad for the UK penniless but after 4 years of hard work, she had a net worth of over £1million in property. She has been a top sales person in a NWM company for not only 1, but 7 years. She has also engineered a major sales force in over 30 countries where she created some of the biggest sales teams and the biggest launch in the company’s history, something that was broadcast on NBC News in America. Camilita is currently in a strategic alliance with Sharon Lechter through her work with The Napolean Hill Foundation. She was mentioned by Sharon Lechter in her New York Times Best Seller – ‘Think & Grow Rich for Women’. Dr. J B Hill, grandson of Napoleon Hill even quoted Camilita in front of 20,000 people as saying ‘There is no better time than the present to take action to succeed’. Camilita’s book is due for release in 2016 and will highlight her journey and success principles from the Camilita believes this book will touch millions of lives around the world and people from all walks of life will benefit from the book’s principles. To book Camilita for your event, training for your sales team or to hire Camilita as your business mentor, you can either go to her website: www.camilitanuttall.com, email info@camilitanuttall.com. How to book your tickets and reserve your place to ensure that you can see Camilita Nuttall or your other chosen and preferred keynote speakers at the Introbiz Expo 2016. For more about our other keynote speakers please see their biogs on our website. See this weeks Introbiz business networking event at the home of the IntrobizExpo sponsors, Marriot Hotel, Cardiff on Thursday 18th August from 4-6pm. Network with SME’s, MD’s & Corporate Companies including many of largest brands in Wales. All guests are most welcome to join us for only £10.00. All attendee’s will receive complementary free car parking. Have you seen who we already have confirmed speaking at the Introbiz Expo 2016. It’s everyones favourite time of year again.. Beaujolais Day! 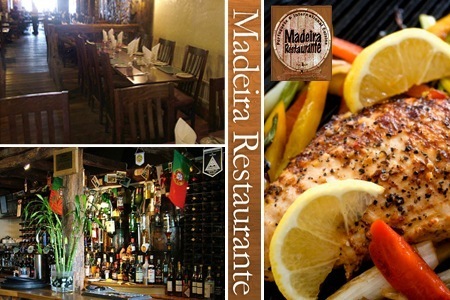 On Thursday 20th November 2014 Introbiz will be celebrating Beaujolais Day for the 6th year running at Madeira Restaurante, Cardiff’s best and only authentic Portuguese Restaurant. We have booked the entire restaurant and would love you to join us and over 130 attendees for a social networking event that is always a sell out! So come and make new business connections with Introbiz members and visitors in a relaxed environment over Beaujolais wine and an authentic 2 course dinner. As you may know Introbiz are passionate about raising money for charity, last year we raised over £2,000 and will be raising funds again for The Pituitary Foundation. Please join us to support this great cause during the raffle with fantastic prizes to be won! Don’t forget to continue your Beaujolais celebrations with us at Chapel 1877 after 5pm! Spaces are limited so please book today to avoid disappointment.